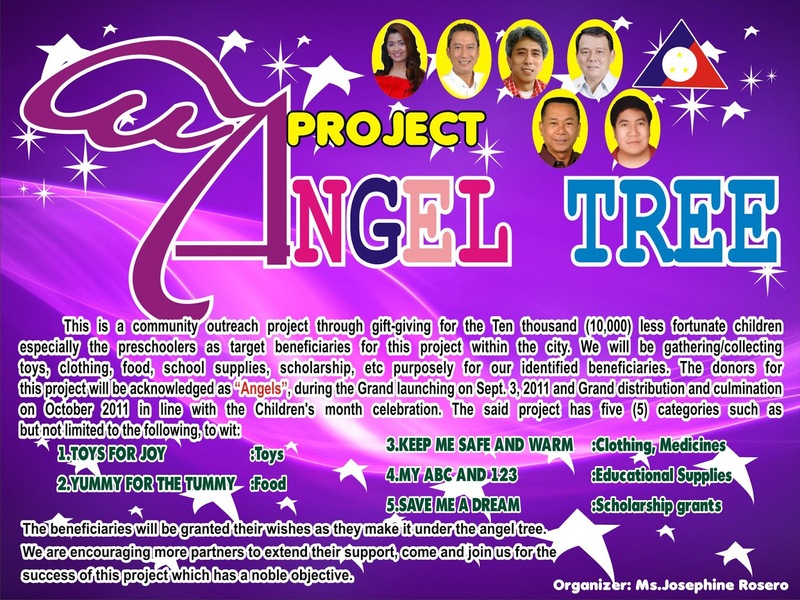 [EVENTS] Project Angel Tree Launching! Ber Month is here! Though the season of gift giving is said to be in December, the spirit of Christmas should stay all year round. 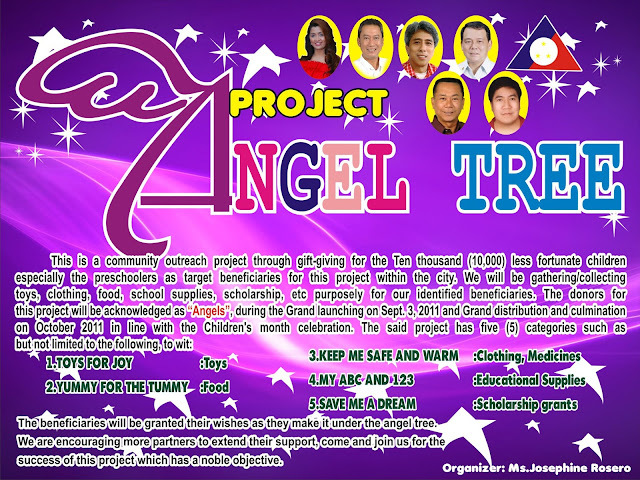 So, I would like to personally invite everyone for the launching of Project Angel Tree on September 3. 2011 5:00 PM at the Iligan City Rizal Park. Project Angle Tree is a community outreach program through gift-giving for the 10,000 less fortunate children. The target beneficiaries are the preschoolers within the city. school supplies, etc for the identified beneficiaries. The donors will be acknowledged as "Angels" ,during the Grand Launching and the Grand Distribution and Culmination will be on October 2011 in line with Children's month Celebration. I know you have a good heart and I know you'd love to share. Join us and Share your blessings to our little ones. Your donations can give them brighter future. P.S. As an “Angel” benefactor, the organizers will be very grateful if you could bring your initial gifts for the benefeciaries and your club/company streamer indicating your support for Project Angel Tree. Please wear something WHITE! See you there! My little Angel Doane will surely be happy seeing his playmates happy, not only this Christmas but whole year round. So come and join us! Let's support Project Angel Tree.